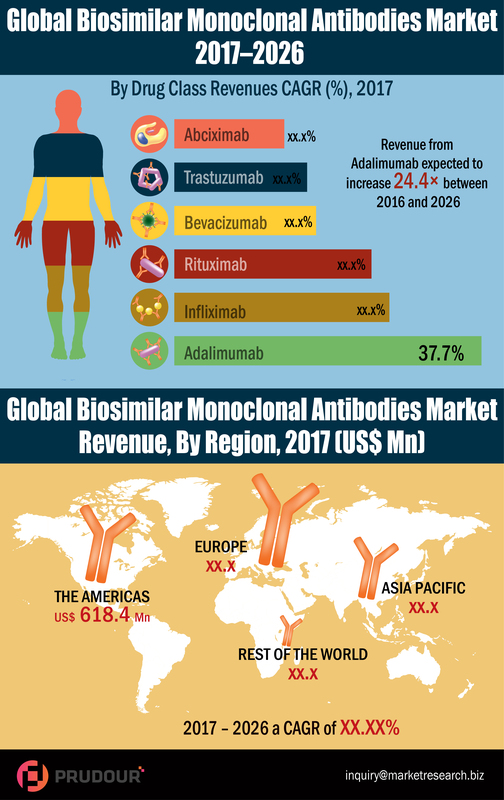 The global biosimilar monoclonal antibodies market was valued at US$ 1,516.9 Mn in 2016 and is projected to reach US$ 32,015.0 Mn in 2026 at a CAGR of 35.7% from 2017 to 2026. The Adalimumab drug class segment is estimated to account for the major revenue share of 29.1% by end of 2017, owing to its cost-effectiveness and capability to cure oncological diseases, Crohn’s colitis disease, and spondylitis. A monoclonal antibody is a laboratory-made protein that can bind to substances in the body such as cancer cells. It is made in such a way that it binds to only one substance to treat a specific type of cancer. 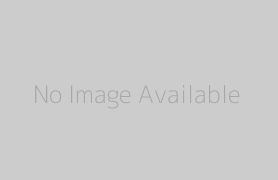 Different monoclonal antibodies are required to be made to target different types of cancers as each monoclonal antibody recognizes their respective protein and work in different ways, depending on the protein they are targeting.